The limited edition gold version of the Reloop RP-7000 MK2 Direct-Drive High-Torque Turntable is designed for audiophiles and live music performances such as DJing at a party or a club using standard and DVS vinyl. The scratch-resistant, die-cast aluminum turntable is powered by a quartz upper-torque direct drive 3-speed brushless DC motor with an adjustable torque between 1.6 to 4.5 kg/cm. It can play vinyl at 33 1/3, 45, and 78 RPM speeds with adjustable start/stop times of 0.2 to 6 seconds, and adjustable pitch ranges of ±8%, ±16%, and ±50%. The unit includes a reverse switch and a safety mains switch. The I/O and power connections are recessed into the turntable so that it can easily fit into a case and the unit utilizes removable mains and RCA cables. The s-shaped tonearm is vertically adjustable, includes an anti-skating control, and includes an easy to exchange freely removable needle illumination via a bright LED. To reduce the transmission of structural vibrations from influencing playback, the turntable incorporates a rubber inlay, shock-proof feet, and a vibration-resistant base. Furthermore, the turntable and DC motor are directly connected to one another to improve the overall stability of the system. 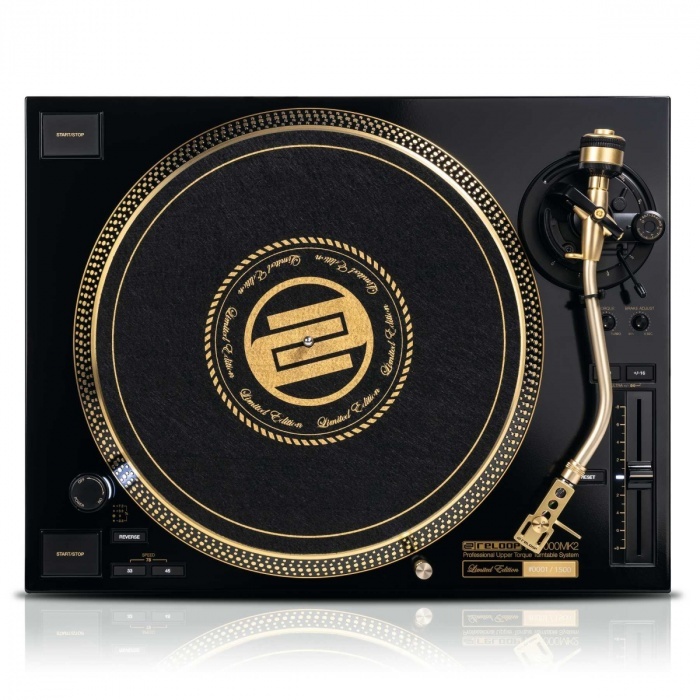 The turntable comes with a slipmat, tone arm illumination, a golden headshell, and a golden carbon fiber record cleaner.